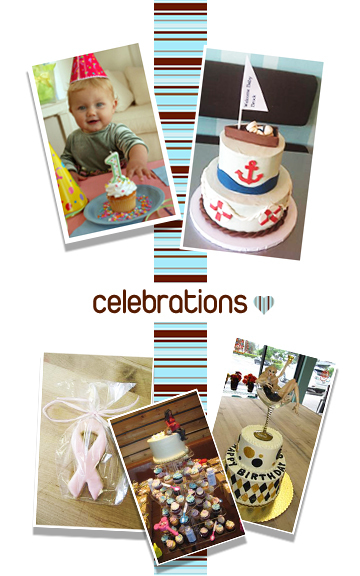 Tell us about your Birthday, Anniversary, Graduation or Bar Mitzvah’s and we will make a special cake just for you. Sweeter Days Bake Shop can make any gathering into a special occasion. Unique theme Birthday cake? No problem. Super Bowl Sunday specialty cake, coming right up! From whimsical to austere, let us make your party one for the photo albums. We have large cakes and large cupcake tiers available for parties or corporate events.